Wetwheels Solent has launched an important Maritime Adventures Appeal enabling 600 local disabled people to have the opportunity to have a special Adventure onboard - Please support us, thank you. Welcome … you’ve begun your voyage of discovery! Come with us on an amazing and fun Adventure on our fully accessible boat - during an exhilarating trip, experience the wonderful treasures of Portsmouth Harbour, with a unique perspective that is only possible from the water. Trips take place onboard Wetwheels Solent, our specially designed boat providing water-based activity experiences for disabled people, based within the local community. Whether a School, College, Charity or Community Group we would be delighted to welcome you onboard. Groups are for a maximum of 10 people and we have space for 3 wheelchair users as part of your group. A Wetwheels Maritime Adventure is also the perfect away day experience or team-building exercise for those looking to take to the waves and try something a little different - we would be delighted to hear from you and to discuss Your next Adventure, please do get in touch! 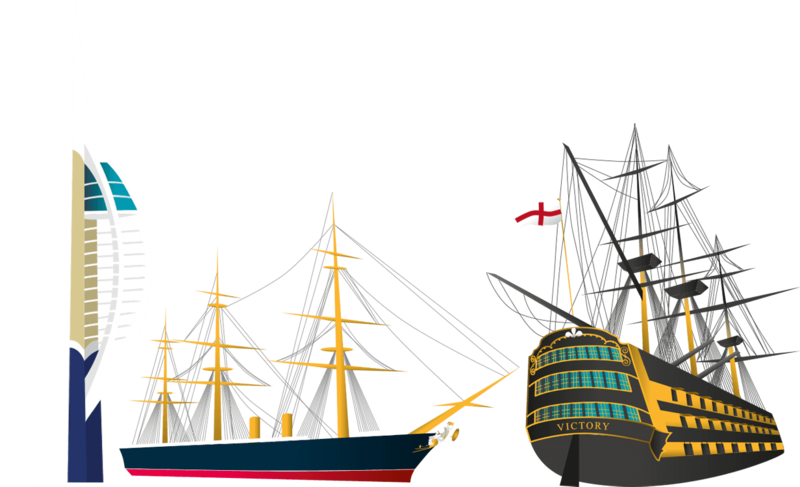 Portsmouth is a vibrant waterfront City packed with history. Home to Portsmouth Historic Dockyard – the only place in the world to see the Royal Navy's historic past and present – as well as the majestic Spit Fort, impressive HMS Alliance, hidden treasures including where The Mary Rose was raised and of course the stunning Emirates Spinnaker Tower – The Timeline outlines some amazing facts and figures about these wonderful landmarks. 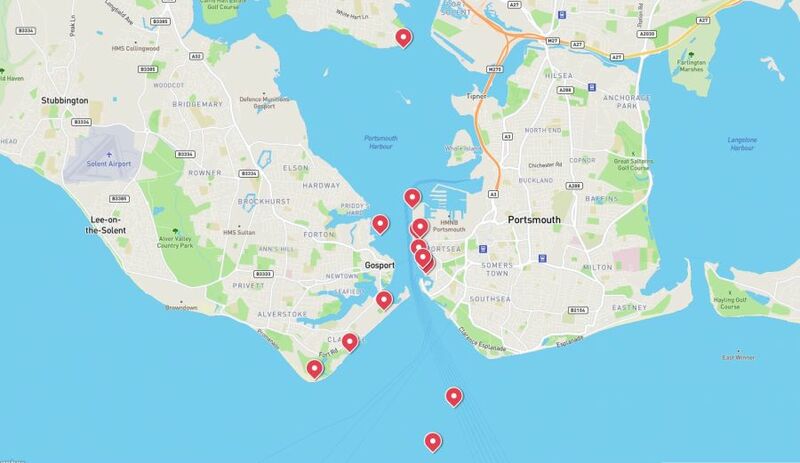 We have created an interactive map to enable you to explore the fascinating Points of Interest on a Maritime Adventure, and across other areas of the Harbour and surrounds of the City of Portsmouth. This will enable you to plan and view your Adventure, for what we hope will be the experience of a lifetime onboard Wetwheels! 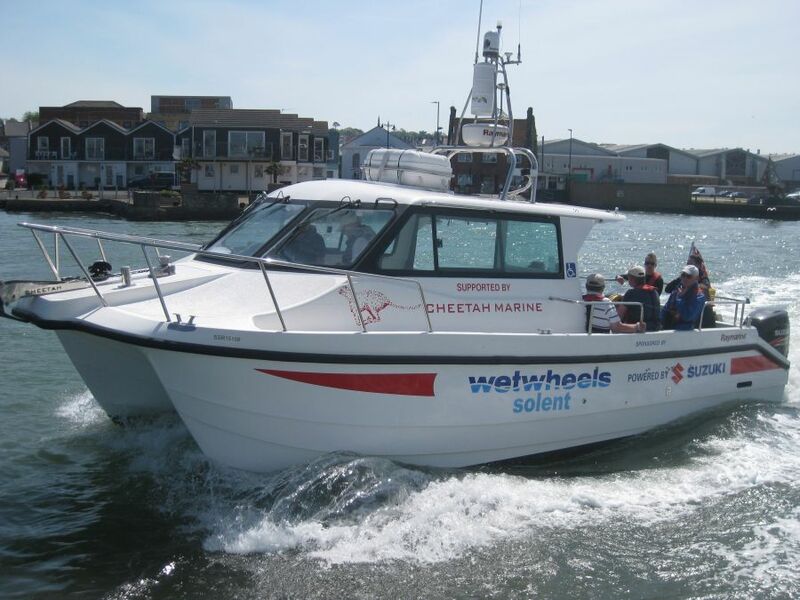 A 9 metre catamaran made by Cheetah Marine on the Isle of Wight, Wetwheels Solent made her debut in 2011 and was named by The Lord Lieutenant of Hampshire, Dame Mary Fagan DCVO. Wetwheels has twin Suzuki 300 HP outboard engines capable of driving her at 40 knots. She is equipped with the latest, state-of-the-art marine electronics provided by Raymarine. These include radar, chartplotter, VHF, auto-pilot and even chin-operated, joystick steering. Adventures are led by Skipper Keith, a Guide and Director Karen manages each trip from start to finish, including risk assessments, health and safety information and all questions you might have. Wetwheels was founded by inspirational disabled yachtsman, Geoff Holt MBE DL. We now have boats across the UK and have welcomed many hundreds of people of all ages and backgrounds to enjoy wonderful times onboard, in a fun, safe, and stimulating environment – building confidence and challenging self-perceptions, with the boat fully accessible to all. Wetwheels is an inspiring organisation where perceived barriers are reassessed, new skills are learned and new-found independence is discovered, and we look forward to welcoming you onboard. Support our Martime Adventures Appeal providing vital funds for special experiences this summer. A special thanks to our sponsors and supporters, without whom none of this would be possible.